To check online availabilty and make a provisional online booking click on 'Check Availability' link on the right hand side of this page. Contact owner to confirm prices. The Stayinborrowdale cottages are set near the foot of Catbells, in Borrowdale, in the peaceful and beautiful surroundings of Fellside. The grounds are home to red squirrels and deer and have spectacular views of the Borrowdale fells and Derwent Water. Easy access to the fells and lake shore allow for oppprtunities for exploration on foot and the Borrowdale Valley bus and the Derwent Launch landing stage are nearby. Keswick, with its huge range of facilities, is approximately 15 minutes drive away. Carefully maintained, these cottages are well equipped and provide comfortable accommodation to a high standard. 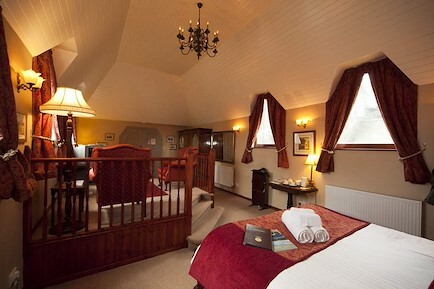 Both cottages sleep up to 4 people in a double and twin room. Garden Cottage has an open fire giving it a warm, cosy feeling while The Coach House is slightly more spacious and has spectacular views of the lake and the valley. Both cottages have a patio/seating area to make the most of the views. Many of our guests return regularly, some several times a year! Changeover day is usually Saturday. Short breaks available through the winter months and on a last minute basis in the summer months. Please see the cottage website www.stayinborrowdale.co.uk for a map and directions. Your enquiry will be sent directly to Stay in Borrowdale. Please fill in as much detail as you can.